J.P. Self and Associates, Inc. has provided drilling contractors with all types of used drill rigs since 1972. We buy and sell used drill rigs. Terra, Williams and Sterling. We will find the drill rig you need if it's not in stock. ﻿If we don't have what you want we can probably find it. Please contact us if you have a rig you want to sell. 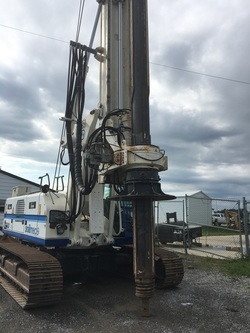 J.P. Self and Associate J. P. SELF and ASSOCIATES, INC. USED DRILL RIG LISTING s, Inc.
2012 Soilmec SR30 NEW LISTING! 2005 Soilmec 312/200 NEW LISTING! 2005 Bauer BG 24H NEW LISTING! 2004 Bauer BG 24H NEW LISTING! 2006 Texoma 650 - 40 NEW LISTING! ​2005 Watson 2500 NEW LISTING! ​2002 Texoma 700 NEW LISTING! 2008 Soilmec SR30 NEW LISTING, REDUCED PRICE! 1984 Hughes LDH - 80T NEW LISTING! ﻿ 1974 Hughes LDH - 80T NEW LISTING! ​mounted on a Hendrickson carrier. 1972 Hughes LDH-80T NEW LISTING! 1961 Hughes LDH-55 NEW LISTING! with a Cat diesel, 55’ depth. 2004 Lodril XHTFB-40 NEW LISTING!